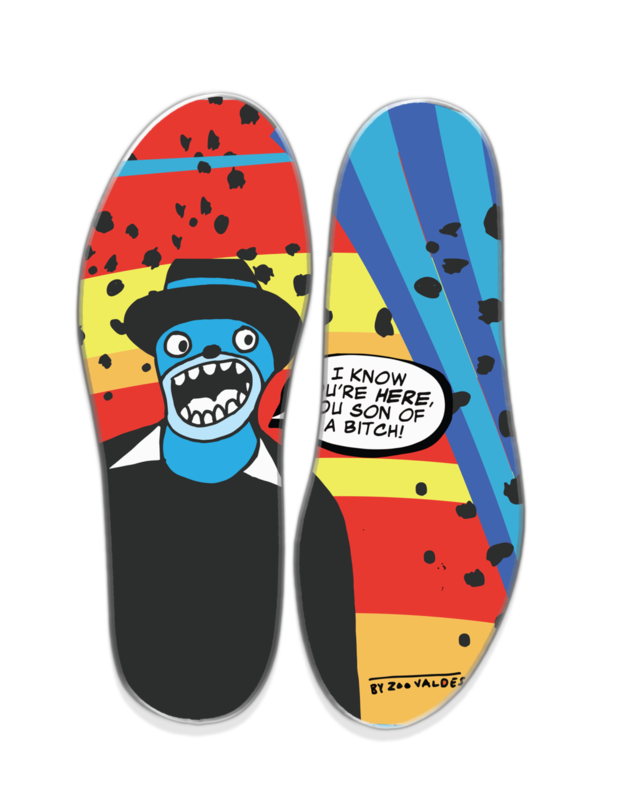 Insoles that not only support ones feet, but also ensures that everyone feels a little more comfortable in their pursuit of self and personal expression. Feel comfortable in your own shoes. 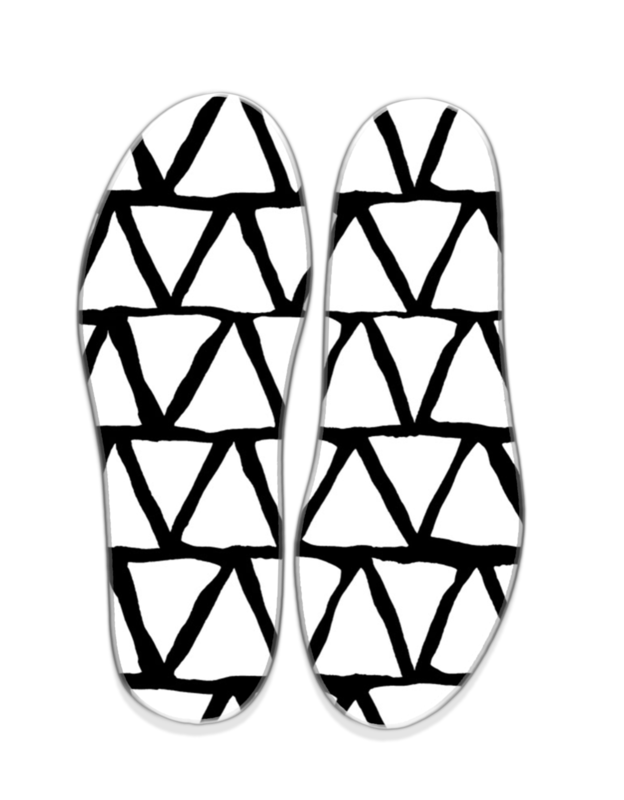 Most people might think we’re just an insole company. But that’s only the half of it! 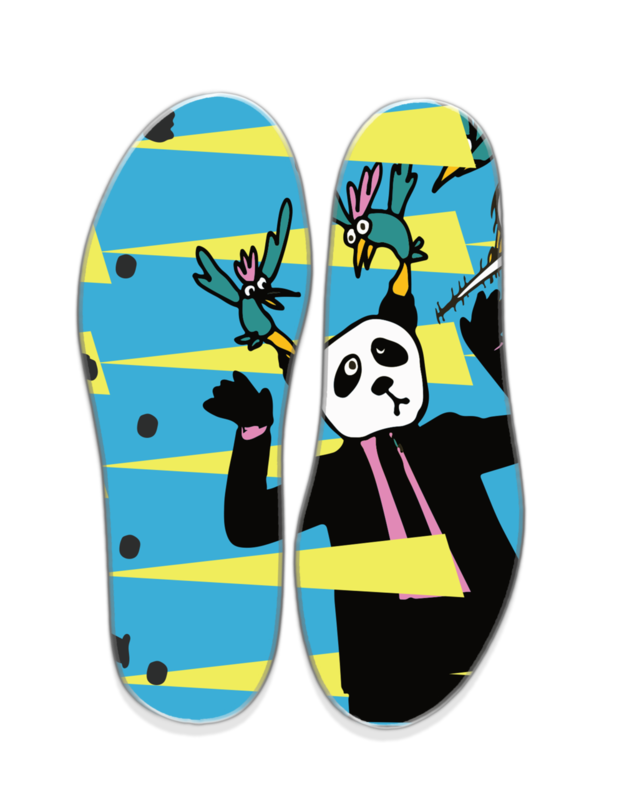 Because while we do make cool, dope, artsy, colorful, styling, supportive insoles; we’re about more than feet. We’re about supporting personal expression, in all its forms. It just so happens that one of our favorite ways to express ourselves is though our shoes. The problem is that some of the coolest shoes, our favorite shoes, look better than they feel. And not just when we’re running, but when we’re commuting, dancing, waiting, standing, twerking, brunching, jamming, studying and even sitting. So we developed Archies, supportive insoles designed by incredible artists so that you can be comfortable in your own shoes. Provide supportive insoles for everyday activities that fit you in every way. To make sure everyone feels a little more comfortable in their pursuit of self and personal expression. If your outfit is a sentence, your shoes are the punctuation mark. Tux with patent leather. Tux with Air Jordans! Tux with flip-flops? Tux with... you get it. to support personal expression in all its many forms. We always support no matter what’s making you uncomfortable. We’ll always be easy peasy to try out, buy, switch out, take out, put in, etc. We actively protect the freedom of personal expression so that everyone is free to be themselves as long as they make the world more beautiful. We make simple and sturdy products that use less, always fit and never give up. We stay honest and open by never promising something on which we can’t deliver and keeping our company as transparent as possible. Be easy-peasy, protect the freedom of personal expression, make simple and sturdy, stay honest and open. We look playfully, modern, energetic, intentional, clean, and colorful. We Sound Self-aware, informal, not immature, to the point, fun. We Behave Empathetic, proactive, and loyal. Meet Blair, Raquel, Carlos, Orlee and Kamaiyah. They’re what we call Expressive Realists. They love to express themselves through their shoe choice, but after being on their feet all day, even their favorite shoes look better than they feel. They’re not quite ready to give up and go out in Crocs, but they’re not pumped about those heels from college either and their favorite pair of chucks are struggling. There are three arch support options. Low arch, medium arch and high arch. If the customer does not know their arch type, we have provided a simple test that can be conducted at home to identify which "archie" is best for them. The archie can be easily detatch from the canvas and be switched onto another canvas at any point. The canvas is what the archie attatches to. Each canvas will be limited editions. There a select few styles to choose from at a given time. The Canvas' feature various artists work. The artists will change out when a new edition is launched. Step Three: Keep on doing you! Try them out! Slide them into whatever shoe you are wearing for the day. If the archie doesn't fit you right, send it back and we will make sure we make adjustments to get you exactly what you need.